When British colonists settled in Australia and New Zealand, they adopted the architecture they knew and adapted it to the climate and environment of the new lands. For the first antipodean cathedrals, prestigious English architects supplied designs that they would never see executed. Very quickly, British-trained architects set up practices in Australia and New Zealand and built particularly fine churches and public buildings. 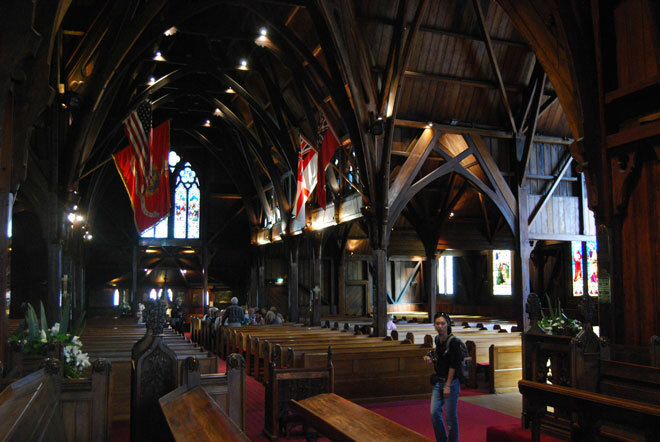 In New Zealand, particularly, the principles of the Gothic Revival were adapted to the necessities of timber construction, producing unusually attractive churches that combine warmth and dignity with a warm acoustic. This lecture surveys British architects in Australia and New Zealand, early Australian and New Zealand architects, and some unexpectedly fine buildings on the opposite side of the world. For background information about some of the sites mentioned in this lecture, please click here.